Unsure about Related Rates of Change? A sound understanding of Related Rates of Change is essential to ensure exam success. 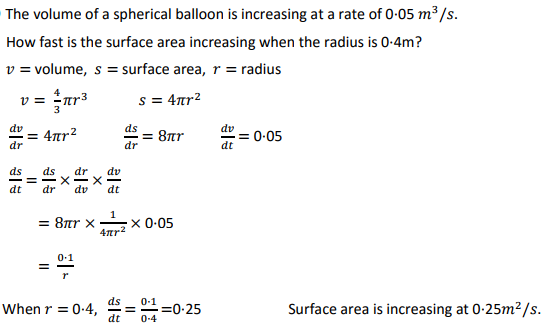 In the AH Maths exam you may be given a problem involving several related variables. One of these variables will be time (t). Using differentiation, you can find related rates of change.